thanks a lot my dear Biggs!!!! i hope u had a nice week!!! i´ll reply to your message soon, i cannot conect to the net with my computer! well i can tell u that was a very special day for them (when i got that signed), i think they really liked it!! AWSOME am so happy for you! speak to you soon! thanks a lot, sera, i really appreciate!!!!!!!! i m glad you like it, jfm!! Wooh, olé, woww!! 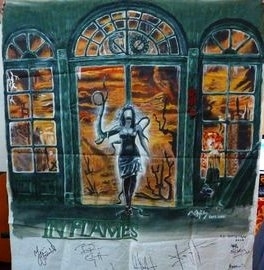 Here it iiis, 'InFlames' awesome jaawwb!!... Besides all details, the variation of color tones between the 2 ambiances are just stunning!! Congrats for the band's autographs, too!! thanks! still, not the ebst resolution for the pic..i´ll upload a better quality one. Guess what! my Manowar pic got accepted!!! great! i m so pleased! Not sure it realy goes with the overall feeling of my gallery, but to be honest, i m not into "overall themes", i like to have different things! exactly! never stop exploring, like the North Face guys say! thanks so much, dear Rodney! I love it! Now that took a lot of gouache! Panache too But... Alicia ... you may be one of only a very few who can reconcile Flamenco & Death Metal on the same ipod!! Wait! I get it: daRaMa! The funniest Granny Story I've heard in a loooong time! it is not my own merit, but my granny´s! i m so happy you like this one! it was like the pre-historic time of my paintings! i used scholar quality stuff! thanks so much, happy u like it!! big in size at least! thanks! !